Opportunity to be in the exclusive oceanfront villa complex in Turtle Lane Club!!! The only lagoon villa on the market located towards the back of the complex providing wonderful privacy. Just steps away from the pool, and private walkway to the beach. 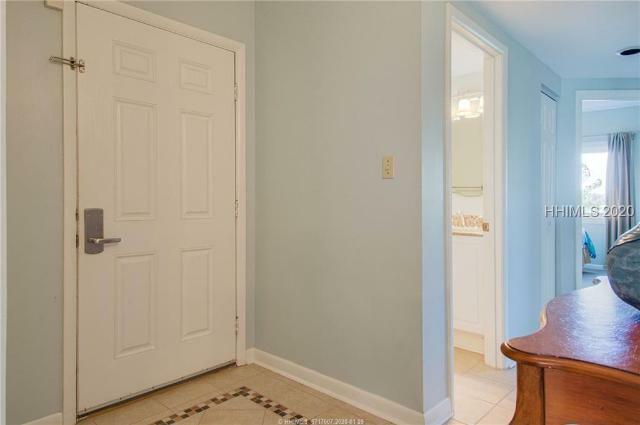 Extensively updated, this 2 BR villa converted into a 3 BR features new bathrooms, new Kitchen, quartz counter-tops, all new hardware, new fixtures, new flooring, 2019 HVAC, just painted, and new furniture. Enjoy as a second home or rental investment property. Make your move to the beach now! Regime info is incorrect - no garage. The BEST location of all the Turtle Lane villas end unit overlooking the Gold Coast of Beach Lagoon Rd & bridge to the beach! Ocean glimpses from the front, this 3-bdrm, 3 bath end unit villa has a fireplace, open living room, to dining room with a skylight & front den. Lg master bedroom overlooking the peaceful lagoon. 2 add'l guest bedrooms each w/ ensuite baths plus eat-in kitchen.Exceptional light and privacy! Turtle Lane Club Villas are highly sought after beach side living! Luxury living at it's finest with stately brick secured entry gate, two pools, incredible gardens and 2 private beach walkways. Great Rental history! Outstanding Direct Oceanfront Views!!! This end unit 3 bedroom 3 bath oceanfront villa is turn-key and ready to enjoy for yourself, or continue generating rental income. Open floor plan with ocean views from living room, dining area, kitchen and Master bedroom. Maintenance free tile floors throughout... perfect for any beach property. Beautifully furnished. Remodeled kitchen. Elevated 2nd floor views. Large windows with lots of natural light. Elevator building. Oceanfront pool and beach trail. Located in prestigious Palmetto Dunes. Premiere 3-Bedroom Twin Oaks Villa with a SENSATIONAL view of the Harbour Town Golf Links! The rear view to the west encompasses multiple golf holes all the way out to the distant Calibogue Sound! This is the BEST villa-type offered and one we seldom see come available! Complete with HIGH QUALITY finishes throughout. Remarkably remodeled with a modern feel. Open Floor Plan w/1BR down & 2BR up. Italian marble flooring. Modern Kitchen w/upgraded Bosch appliances. Designer Furnished & Decorated. The entrance to this villa is under one of the historic LIVE OAKS! Awesome proximity to the pool! Plus the HVAC system was installed in 2019! 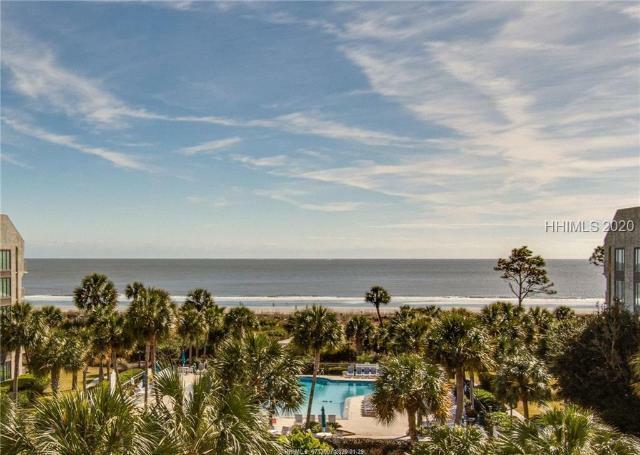 Point Penthouse with the best ocean view in Palmetto Dunes Resort. One of only two built to offer this unique location and proximity to the beach. Panoramic oceanfront views from all rooms, with sought after southern exposure and 2 private covered balconies. Updated kitchen, bathrooms with Silestone and tiled walk-in showers. Ceilings smoothed throughout. Villamare offers onsite health club, indoor and oceanfront pools and oceanside barbecue area. Walk to golf, tennis, restaurants, canoe/bike rentals, spas, general store. Truly a one of a kind location in the Heart of Palmetto Dunes Resort. Updated, oceanfront, first-floor (walk out to the beach! ), 3 bedroom end-unit with walls of windows. The villa is light and bright with smooth ceilings, all new paint, hardwood floors, new carpet in bedrooms, all-new baths including custom river-rock walk-in shower at master bedroom, White kitchen with breakfast bar and granite countertops, all new furniture and a direct view to the Atlantic Ocean! Listen to the ocean from your spacious covered patio.. and stroll through the expansive oceanfront yard to the on-site pool and beach beyond! This is an absolute 10! New dryer, new hvac. . New Zero entry heated pool! 24 hour gated security! Sell your Lawnmower! Big 3 bedroom and 3 full baths. Beautiful finishes with crown moldings, wonderful 17' vaulted ceilings with sky lights, end unit with windows, open kitchen and large back deck with wide water views. Just steps from the ocean & use of 3 Oceanfront Pools at Hampton and Barrington. A setting that is both physically beautiful in design & surrounded by lush greenery & palmettos. Used occasionally and not rented the furnishings and condition are perfection found. Plenty of storage inside and out. Golf, tennis and restaurants are just a short stroll or bike ride away. Outstanding Ocean Views from this 3rd floor 2 Bedroom/2 Bath Hampton Place Villa. 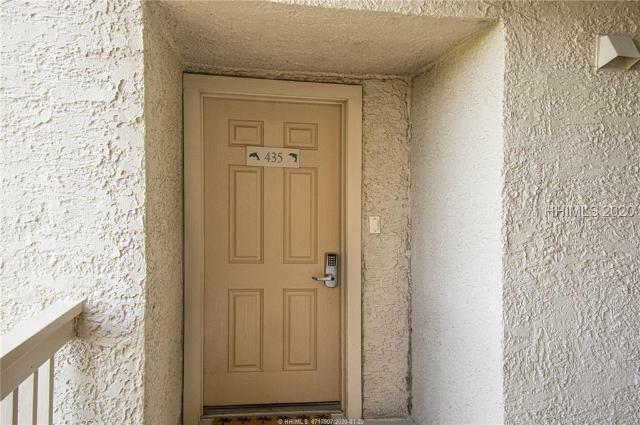 Updated with low maintenance tile flooring, granite counter tops, remodeled and expanded shower, closet built-ins. Large balcony off master bedroom and living room, storage space in garage and separate laundry room. Hampton Place has covered parking, an oceanfront pool area with pavilion, spa, a barbecue area, kiddie pool and boardwalk to the beach. Great established rentals of $53k in 2018! OLSCREA.